All-in-one carrying- front, hip or back; baby face in, out, or in fetal position. Ergonomic leg position in every setting, including when baby is facing forward. Seat adjusts to perfectly fit baby at every stage and enables carrying through the "baby wearing gap." Adjustable neck support with elastic attachments gives ideal support while allowing for movement. The adjustable torso is taller than most brands, giving your baby sturdier support and better posture. Padded side straps protect baby from webbing. Removable sleeping hood adjusts in length and includes elastic edging for comfortable fit. Protects from sun and wind, gives privacy and supports baby€ä€_s head while sleeping. Ergonomic design with optimal weight distribution. Unique lumbar support provides lower back support and prevents webbing strap from sliding and €ä€ìcutting€í¿ŒËŒ_ into wearer€ä€_s waist. Sliding adjustment chest strap with a mesh-lined pad that protects and simplifies locating buckle on your back. Ergonomic shoulder pads are sturdy 3 inch (7.5 cm) wide with one inch thick (2.5 cm) premium foam. Wide waist band with 1/4 inch high-performance foam. So thought i'd post a wee review! I bought this on offer, and it had some great feedback from other owners when I asked around on fb. I had bought a boba first of all and although I liked it, didn't find it a great fit. So in comparison-this lillebaby was much preferred for the fit but also, it has a great head support for my littley! I have only used it in a front carry so far for my now nearly 3m old with the seat poppered in. I have yet to try for my toddler, but don't carry her quite so often-usually she walks well and baby gets the carry (saves a buggy and the baby sleeps much better!). I would recommend this carrier, it also comes with great, detailed instructions on changing the seat as well as using for different carries (including a hip carry which I think will be great!). Our favourite carrier by far! Lightweight and not over padded, so very comfy. My partner loves it as it isn't girly in design. We will be grabbing another one for whilst this one is in the wash! Absolutely brilliant! I wanted a carrier for my baby girl that was comfortable and quick and easy to put on! This is definitely the one! 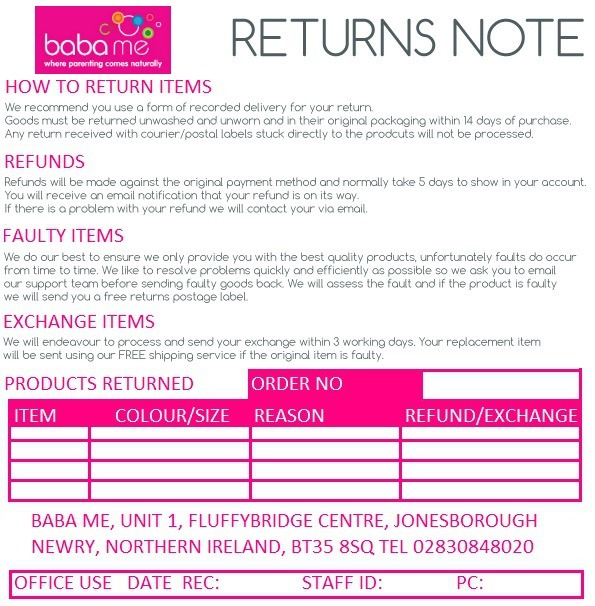 A brilliant service from babame, it was delivered to my door in 3 days!! Will definitely be buying another lillebaby again using this site! ?? Bought this product from babame and I could not be happier. High quality carrier and super comfy for my 5 month old. Really loved all the support also on the fb page to help me with any questions I had when first wearing it. Delivered super fast also! Would and have recommended both the product and the site!! I wasn't sure about the Lillebaby when it arrived on the market but I'm a convert now. Well made, has plenty of positioning options to keep everyone happy, and even comfortably fits my (skinny) 3 year old. Like it. Absolutely LOVE this carrier! I've always suffered with a bad back but this is super comfy & supportive. The 3rd time I wore it I used it for 7 hours & both myself & my little boy were still smiling. So easy to put on & off by yourself& even has a pocket attached to the waist belt for keys, phone & a nappy. Definitely recommend!! !